From running a remote mining camp in the middle of nowhere, to delivering expensive communications equipment to a war-torn area, Soraya Narfeldt has made a living from working in Africa’s extreme locations. She is the CEO of RA International, a provider of construction, logistics, life-support and maintenance services for clients operating in remote and demanding environments. 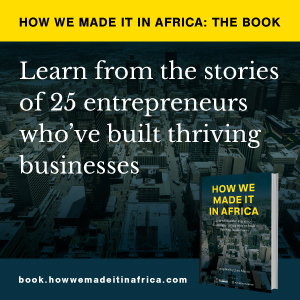 How we made it in Africa asked Narfeldt about how she started the company, and some of toughest projects she’s been involved with. We also learnt that there can be floods in the desert! Tell us about how you founded RA International? As time went on I learnt more about the business side of things, and discovered how difficult it was to get some tasks done. For example, if someone from the Red Cross wanted a vehicle, you had a guy in Geneva processing the order, another guy in New York or London doing the shipping, while someone else was responsible for taking it down to Pakistan, and so on. By the time the vehicle arrived, you had seven different parties involved in one execution. And too many cooks spoil the broth. More and more problems were occurring because people didn’t know what they were doing. So I started offering these services as a one-stop shop, operating from Kabul. Instead of working with seven different parties, people could just call me and I managed the entire process. Companies paid me directly to manage a turnkey solution of what they wanted – anything, from finding products and materials to human resources. So that is how RA International started to develop. Because I was born in Africa, I was always on the lookout for opportunities to work in the continent. I’m from West Africa, and understood the continent better than I understood Afghanistan, for instance. And so I decided it was time to invest ahead of the curve, and started looking at key countries that I thought would garner international support for stability. So I travelled down to South Sudan about two years before it became independent, and after having had a look around, I realised the establishment of a new country would lead to an influx of international organisations, such as the World Bank and the United Nations, which were our typical clients at the time. We started in South Sudan and from there went on to do work in Darfur for the UN and also in Chad, and slowly we evolved into a very Africa-centric company. RA International is headquartered in Dubai, with regional offices across Africa. We have grown into a multifaceted firm, employing over 1,600 people from 33 different countries. This blend of cultures has led to a deep understanding of people from all sorts of backgrounds, and we believe that this is what has allowed our organisation to flourish. What has been the most challenging project you’ve worked on in Africa? Working in South Sudan was very challenging. We were mobilised to build administrative buildings for the UN on the border to the north just when the war broke out. We were stuck right in the middle of two factions, with heavy equipment and 50 people. We had to negotiate between the two sides to get our people and equipment out. It was agreed that we would drop a group of soldiers off at the next village, but en route we got ambushed and two of our team members, out of fear, jumped from the vehicle and ran away into bush. It took us about two weeks to eventually get our people, including the two who ran away, and equipment back to the base. From that experience, we learnt how quickly things can deteriorate, and how prepared you need to be. Working in Chad has also been challenging just because of its sheer size, together with the extreme heat and the risk of being caught in a flash flood – yes, it does rain in the desert! It can take 20 hours to drive from one location to another in the middle of nowhere and not seeing any people. In most African countries, it is not the actual projects that are hard, but it is the politics and locations that they come with that are difficult. These experiences, which have been many, have pushed the team to defy obstacles, rise above challenges and find alternative solutions. No matter how harsh the environment, how challenging the circumstances or how remote the location, we always deliver regardless. Although you help companies to do business in Africa, RA International itself is also an investor in the continent. Tell us about some of the lessons you’ve learnt about successfully operating in the region. For us the biggest lesson is to always have more than one backup plan. Plan A has never worked for any project that we’ve undertaken or invested in. I always look at plan M, N, O, P or Q. The second lesson is to invest in people that work for you. You might have 10 bad staff members, but the one good guy will make up for the 10 bad ones. By investing in people, you ensure that they hold you close to their heart and that they want to deliver good work for you. And it makes them want to stay with us. They are our security and protection, because it is their country we are working in, not ours. We also invest in our local suppliers and teach them the standards that we need. We don’t shout and yell at a person because something is not packed properly, for instance. He doesn’t know how we need it packed. So we must give him the box, the tape and the measuring tools, and show him the way we want it packed. If we need stones to be broken for a job, instead of expecting someone to break them manually, I would rather buy a jackhammer, give it to him to own, and request a reduced rate on the stones that I buy. The modern equipment then helps that supplier to grow his business. It is, and always has been, our objective to combine our business projects with sustainable outcomes for the local environment and for the people we employ. Staff are, wherever possible, recruited locally, which develops a feeling among the local residents that change has indeed started to happen, and that they are part of it. We believe that running a sustainable business brings benefits for everyone, including our staff, customers and the communities in which we operate, and this forms the foundation of all our business strategies and daily operations. All of our partners have been made aware through our webpage and other communication channels that we are signatures to the UN Global Compact and what that entails. On top of this, we have a social responsibility fund, to which we commit a percentage of our profits each year. Over the last decade, this fund has been used to carry out close to 30 initiatives in six countries. Our most recent initiative is the support to an orphanage in Bangui (Central African Republic) which started in January 2017 with the intention of forming a long-term partnership. RA International works closely with the mining and oil & gas industries. How would you describe the impact of the generally lower commodity prices seen over the past few years? What we are seeing on the ground is that there are very few mine expansions. Most mining companies are focusing on their existing operations, and looking at minimising operational waste by streamlining their businesses. Many of them are also considering full turnkey outsourcing to reduce management costs. We are also seeing more exploration for new mineral deposits, which could then potentially be mined when the market turns up again. We’ve received a lot of requests to supply small exploration outfits. Your company also provides services to humanitarian operations. Has there been a decline in these tragedies in recent years? In terms of wars, things have definitely become more settled. People are realising that a stable country with a stable government actually allows them to get on with their lives. People want to send their children to school and get their jobs done. However, we are continuing to see natural disasters such as drought. For instance, the drought in East Africa has now created a famine in South Sudan, which in turn created instability. It sometimes seems to be this vicious cycle – just as the politics gets settled, they get hit by a weather-related incident. So from a political perspective things are stabilising, but when it comes to natural disasters, there are still a lot of issues out there.